Canada seems to be on everyone’s minds lately and rightly so! This year marks what is being billed as Canada’s 150th birthday. 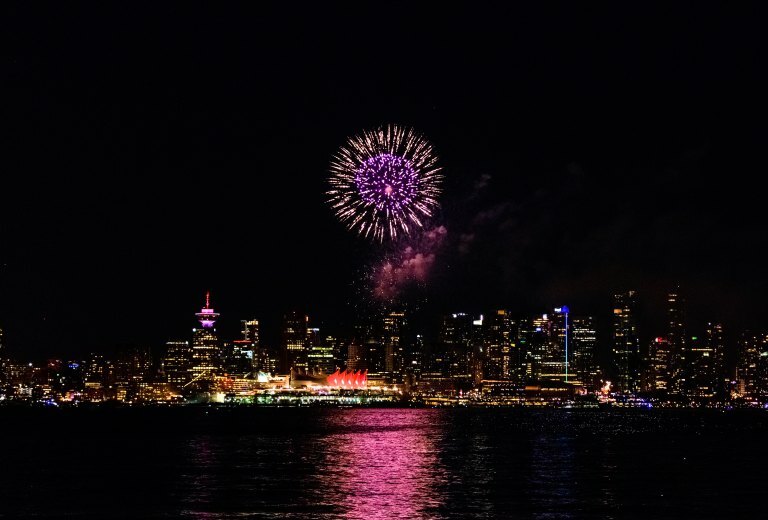 Encouraged by a huge marketing push, celebrations and events across the country, as well as a general desire to see a beautiful place, travelers are packing their bags and making their way to this North American country in droves this year. July 1st marked the 150th anniversary of the Canadian Confederation – a uniting of the British colonies of New Brunswick, Canada and Nova Scotia in 1867. Since then Canada has expanded to include 10 provinces and 3 territories. It is an enormous country, the world’s second largest in total area (including its waters) and has the world’s largest proportion of freshwater lakes. Canada is also bordered by a considerable amount of water – extending between the Atlantic and Pacific and topped by the Arctic ocean. To its south is the United States, the world’s longest bi-national border. Though Canada is huge, it consists of mostly forest, tundra and mountains, thus its population is relatively small in comparison. It is home to only about 35 million people mostly concentrated in the urban areas of Toronto, Montreal, Quebec to the east and Vancouver to the west (for perspective, our lovely state of Texas houses about 27 million!). The name Canada has its origins in a St. Lawrence Iroquoian word “Kanata” meaning “village” or “settlement.” The French established themselves there in 1535 but through a series of conflicts control transferred to Great Britain. Queen Elizabeth II still presides as its head of state. It is officially bilingual, English and French, and quite ethnically diverse. Its original population consisted of the Indigenous people: First Nations, Inuit, and Metis who migrated from Siberia across the Bering land bridge tens of thousands of years ago. An easy trip from our home base of San Antonio is to Toronto, located on Lake Ontario north of Buffalo, New York. Air Canada now runs a non-stop flight from San Antonio International Airport. 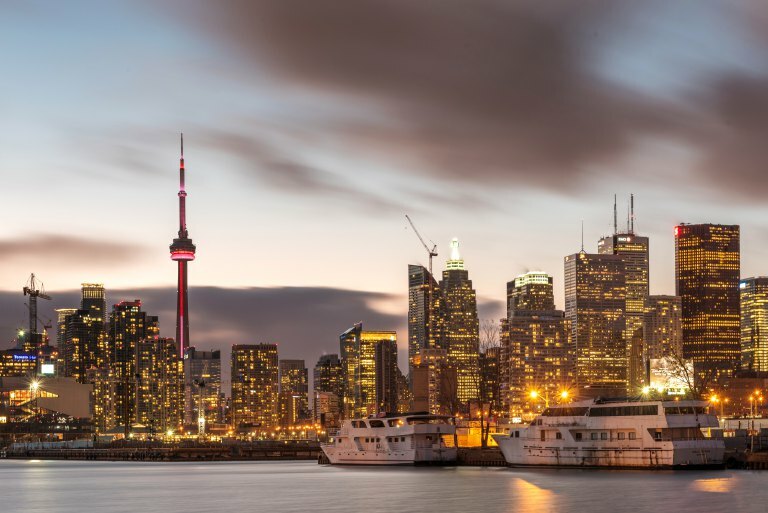 With its easily recognizable and striking skyline, anchored by the CN Tower, Toronto is an exciting cosmopolitan city full of wonderful museums, restaurants, and theaters. With several world-class Virtuoso properties to choose from you can have an incredible base camp from which to visit the area. Three days affords you ample time to enjoy the glamorous shopping, dynamic dining and engaging culture of the city. 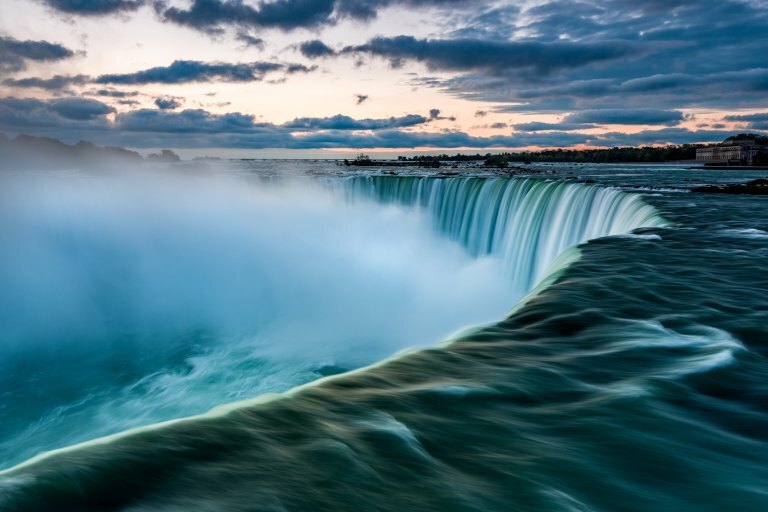 Be sure to include a day trip to Niagara Falls. And, if you have time, there is a burgeoning wine scene near the falls with wineries and vineyards dotting the landscape between Toronto and Niagara. From Toronto, you can migrate east and visit Montreal. An incredible cultural hub, it is home to surprising urban art, an exciting food culture and numerous festivals throughout the year. The striking Basilica of Notre Dame is visually stunning with soaring stained-glass windows, gilded statues and a vivid ceiling. The city currently hosts the Canadian Grand Prix of Formula One and the Montreal International Jazz Festival, drawing amazing talents. Continuing east is the lovely city of Quebec. Pleasing in both summer and winter, it is possibly the most European of these eastern Canadian cities. In its Old Town, a UNESCO World Heritage site, you can wander cobble-stoned streets lined with charming shops and cafes. 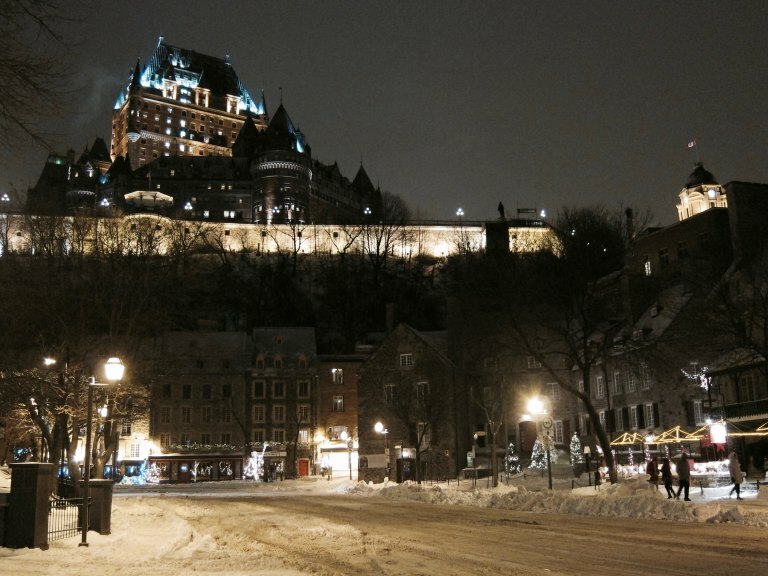 Whereas Montreal is more urban and commercial, Quebec is like a stroll through history. The Fairmont Le Chateau Frontenac towers above the city, affording an incredible place to stay while you soak in the sights and sounds of this handsome city. You can take an interesting short tour of Le Citadelle, North America’s largest fort, started in 1750 and completed in 1850. Allow at least half a day to wander the halls of the Musee National des Beaux Arts, with fascinating permanent collections and frequent exhibitions from abroad, it also offers painting classes and a concert series. Eastern Canada is dominated by the Great Lakes and the St. Lawrence River. 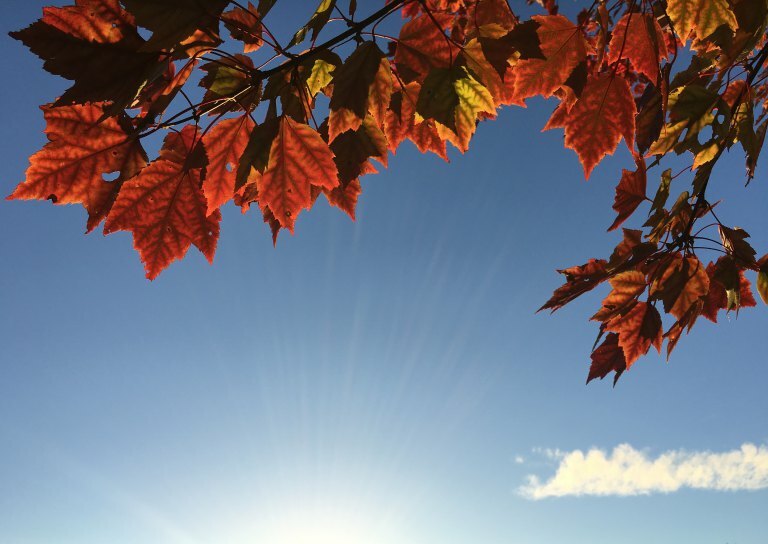 It is also maple country, producing the world-famous maple syrup and giving the landscape beautiful autumn colors. Dramatically different from the east is the region of British Columbia and Alberta. Straddling the border of these two provinces is the Canadian Rockies: a rugged and wild landscape at times both breathtaking and imposing. 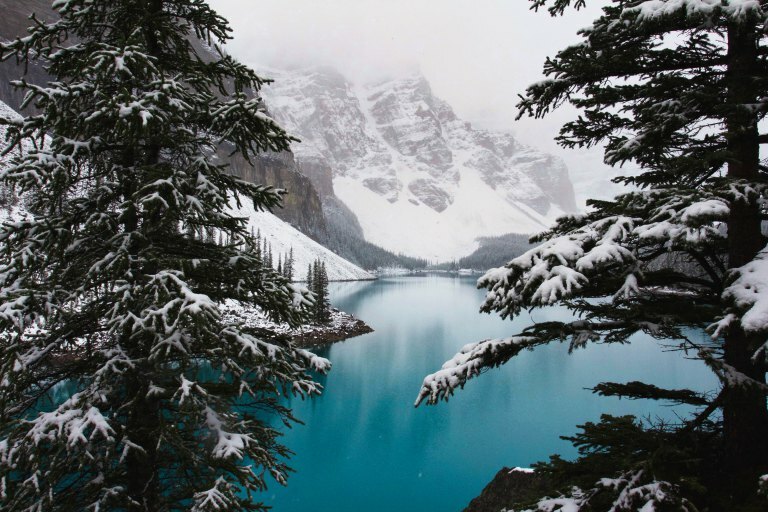 Here you can visit Calgary and the incredible Banff and Jasper National Parks. The wildlife and scenery is the main draw here, in addition to being a winter sports wonderland. This is the ideal spot for any nature-loving traveler. During the summer, when the hot Texas sun has you hiding indoors, it is a great escape to breathe in the crisp, cool, fresh northern air and marvel at the majesty of the mountains and forests. Hiking here can be tranquil as well as intense and there are numerous lakes and rivers where you can raft, kayak and fish. During winter, this area is practically unrivaled for skiing, snowboarding, trekking, snowmobiling, etc. Many well-known tour operators such as Trafalgar and Entrée Canada can put together dramatic and inspiring itineraries to fully appreciate this spectacular spot of the world. On the south-western corner of Canada you will find Vancouver, Victoria and Whistler. Protected from storms by Vancouver Island, the climate of this area is moderate and comfortable (with the exception of Whistler, which is cold and snow-covered during the winter). The temperate rainforest climate means that this region is home to verdant forests and parks. The city of Vancouver is a shining jewel, green and gleaming when the sun pours out. It has been at the top of various world’s best cities lists many times for good reason. It is incredibly ethnically diverse and vibrating with culture. The activities are limitless in this thriving city. 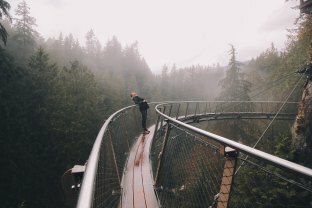 Biking through Stanley Park, hiking Grouse mountain and traversing suspension bridges high above the Capilano River. The food scene is on point and exciting culinary experiences can be had all throughout the city but especially in the hip Granville Island part of the city. A food tour of Granville Market is a great introduction to this lively neighborhood – be sure to include a visit to one of many the micro-breweries as well. From Vancouver you can ferry over to Victoria, the capital of British Columbia, for a day trip but an overnight stay is logistically the better way to go. Visit the glorious Butchart Gardens for a calming afternoon among flowers and butterflies. Charter a whale watching trip for a few hours or for an Instagram winning activity try snorkeling with the harbor seals that populate the shores of Vancouver Island. The Royal BC Museum is well worth the ticket price and the city’s old-world architecture is pleasing to see as you stroll the city center. There’s nothing like hiring a float plane to fly you from Vancouver or Victoria over the verdant landscape the short trip to Whistler. Flying you over glaciers, lush alpine meadows, and unique volcanic formations before landing at Green Lake just north of this exciting village. Whistler is a year-round destination and fun for people of all ages. You can go hiking, biking or zip-lining. You can be pampered in spas or take in a round of golf. The shopping and dining in the village are unbeatable. 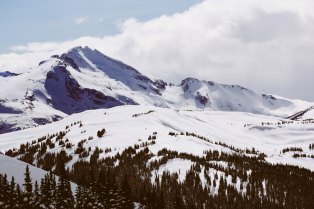 Of course, Whistler has epic winter activities and is a must on any avid skier’s bucket list. The village itself is entirely pedestrian, cars used only to drive into the town can be left in a garage for the duration of your stay. Enjoy ice-skating with the family or a visit to the Olympic bobsled track for some thrills. There is so much to say about Canada it can hardly all be summed up in one post. As Mr. Herff would say, there are a lot of moving parts to a trip to this fantastic country. But the time and effort is well worth it and any traveler will be rewarded with an incredible journey. With the birthday celebrations – concerts, fireworks, festivals and exhibitions – continuing all year, the party atmosphere will only enhance any visit. Don’t delay getting your trip booked as hotel rooms and flights are filling up fast! Go north, go to Canada! You will not be disappointed.